Fundraising can strike fear in the hearts of even the most stalwart board members but it doesn’t have to be that way. Yes, someone has to actually ask for that gift –but there are so many other ways to engage people in the mission of your organization and there is at least one thing, if not three things, that will fall within your comfort zone. Board members have a crucial role to play in philanthropic giving and Mick Mulloy will show you how you can turn your fear into passionate engagement. 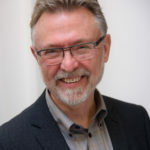 Mick Mulloy, Senior Associate at the Vitreo Group has 40 years of public and non-profit sector experience in both Canada and in the United Kingdom. His diversified background includes working for government, charities, foundations and non-charitable non-profit organizations. His career spans the arts, post-secondary education, environmental organizations, social housing and human services.